Minimize it. Collapse it. Work with it. Lowepro's S&F Slim Lens Pouch AW series is a lean and streamlined solution that offers freedom of movement for working photographers. The pouch provides reinforced protection at critical mount and glass points. The snag-free top edge allows for a smooth removal of a lens from the case. And its inventive construction flattens for easy packing when not in use. 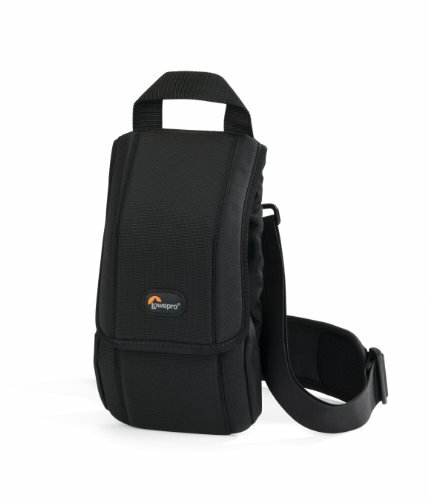 Convenient features like Lowepro's built-in All Weather AW Cover, a SlipLock attachment tab and a removable/adjustable, padded shoulder strap keep things flexible as weather and assignments change.